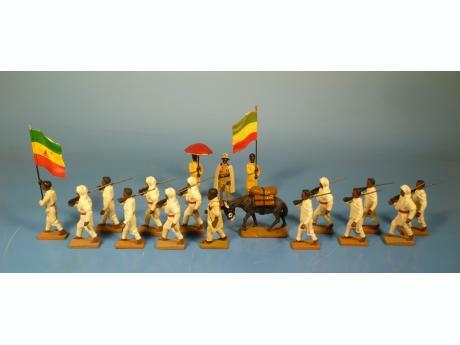 description: Original Lineol – Truppenparade des Kaiserreichs Abessinien vor Kaiser Negus Haile Selassie 1935. Disclaimer: the Figures Journal only provides a market place where dealers and collectors may contact each other. Under no circumstances we do take any responsibility for damages (e.g. moneytransfer, shipping, condition, etc.) resulting from a final deal. There are no sales conditions available for this seller. Please ask for them, if you reserve this item.